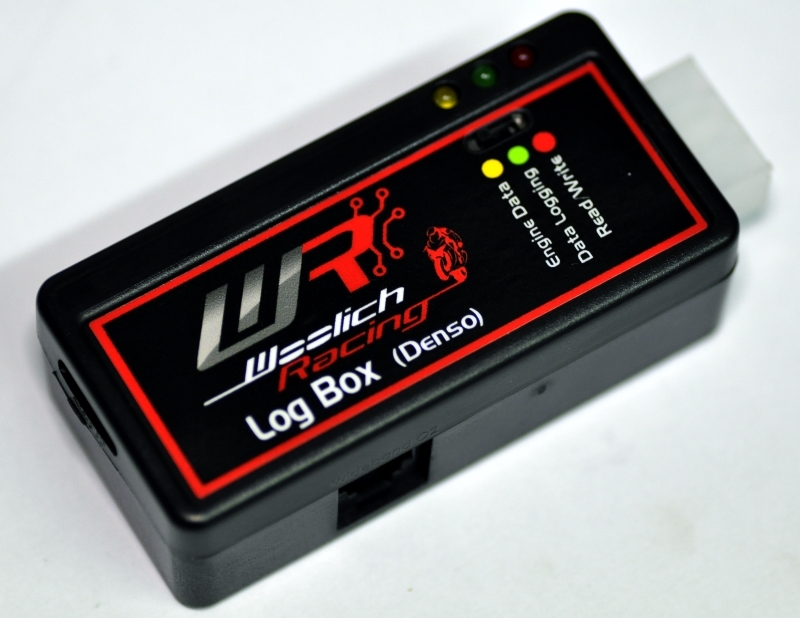 The Woolich Racing Log Box (Denso) v2 (LBD) automatically logs engine data directly from stock Denso ECUs to an on-board micro SD card every time you ride your bike. The Log Box can be permanently installed on your bike. When you are ready to tune your bike you can connect a laptop to the Log Box via a standard USB cable. The log box appears as an external USB hard disk on your laptop and you can load the logged data directly into the Woolich Racing Tuned software to AutoTune your fuel maps. The Log Box (Denso) LBD also allows you to Read/Write (Flash) Denso ECU's and view real time Engine Data in the Woolich Racing Tuned (WRT) software. * The standard engine data connection speed vaires depending on manufacturer and model. Some models have a "Fast Data Logging" option in Advanced Settings in WRT The 50Hz Data Logging rate is for the Wideband O2 data from the Zeitronix, linear interpolation is used to produce data logs between the engine data packets from the ECU. 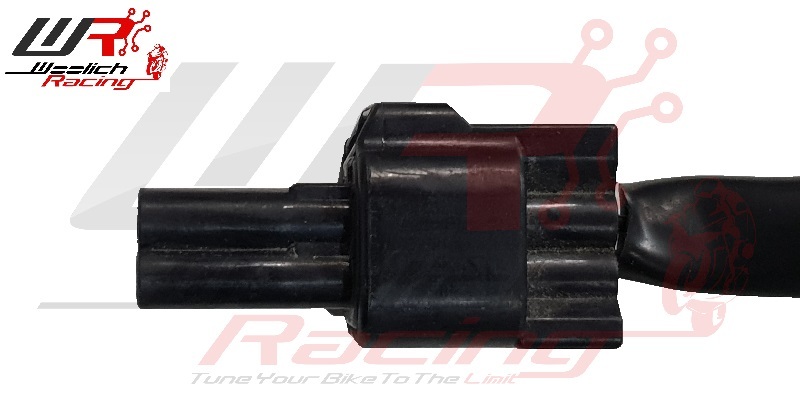 This package includes everything you need to start tuning your 2005-2006 Kawasaki ZX6R with our Log Box (Denso)v3 and Zeitronix ZT-3 Wideband O2 Sensor. This package includes everything you need to start tuning your 2005-2006 Suzuki GSX-R 1000 with our Log Box (Denso) v3 and Zeitronix ZT-3 Wideband O2 Sensor. This package includes everything you need to start tuning your 2006-2008 Suzuki M109R with our Log Box (Denso) v3 and Zeitronix ZT-3 Wideband O2 Sensor. This package includes everything you need to start tuning your 2007-2012 Suzuki GSX1300BK (B-King) with our Log Box (Denso) v3 and Zeitronix ZT-3 Wideband O2 Sensor. This package includes everything you need to start tuning your 2008-2012 Suzuki GSF 650 with our Log Box (Denso) v3 and Zeitronix ZT-3 Wideband O2 Sensor. This package includes everything you need to start tuning your 2012-2016 Suzuki GSX-R 1000 with our Log Box (Denso) v3 and Zeitronix ZT-3 Wideband O2 Sensor. This package includes everything you need to start tuning your 2013-2018 Suzuki Hayabusa with our Log Box (Denso) v3 and Zeitronix ZT-3 Wideband O2 Sensor. This package includes everything you need to start tuning your 2009-2010 Suzuki M109R with our Log Box (Denso) v3 and Zeitronix ZT-3 Wideband O2 Sensor. This package includes everything you need to start tuning your 2012-2018 Suzuki GSX-R 600 with our Log Box (Denso) v3 and Zeitronix ZT-3 Wideband O2 Sensor. This package includes everything you need to start tuning your 2012-2018 Suzuki GSX-R 750 with our Log Box (Denso) v3 and Zeitronix ZT-3 Wideband O2 Sensor.